What a fabulous weekend! I really enjoyed it so much, and have come away determined to keep up the momentum and paint as much as possible! We shall see. I found the course extremely well organised and your studio space is very impressive. Ten of us did fit in but I can see why you would prefer to have eight on a course. And the lunches .....! They may have been made of light ingredients but were so delicious and generous I'm sure they added considerably to our creativity as well as our waistlines. I very much want to come again, probably next year all being well, and will sign up on your website shortly. Thanks again to both of you for a lovely experience." Really enjoyed the weekend, Soraya is so inspirational, I learnt so much.....the food was very good as well !" Thank you so much for a fabulous 2 days. It was inspirational and really enjoyable. I had no idea it was so late when I left yesterday and apologise if I delayed you. I had a very quick run home and am now about to set up my work in my studio/spare bedroom!! Many thanks for all your wonderful help and hospitality"
and plant material are getting better." "Thankyou so much for such a lovely 2 days. 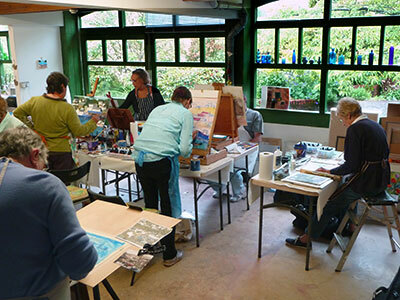 You are so full of energy and inspiration that I loved each minute of our time and so full of encouragement"
The French Collection Studio Gallery is situated in the heart of Hampshire within Project Workshops, a dedicated arts centre based in Quarley near Andover. 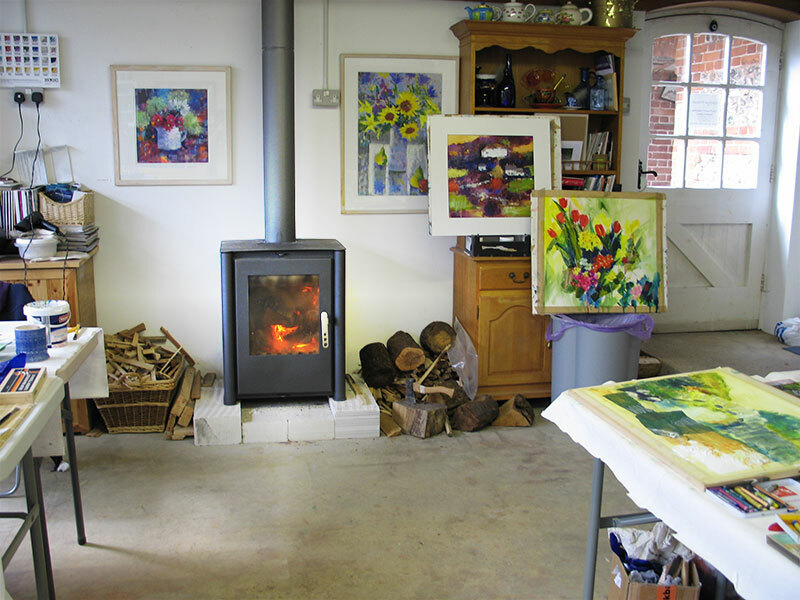 Soraya’s studio is south facing with beautiful walled garden views. 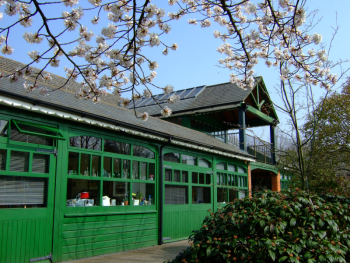 The studio is well equipped for painting in this tranquil and stimulating setting. We run small and intimate workshops that cater for both aspiring artists through to professional artists who want to refresh their enthusiasm for new techniques. 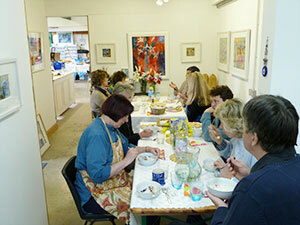 Most workshops are based around eight people to give a comfortable and intimate experience. We also pride ourselves on providing light healthy lunches along with refreshments throughout the day. The workshops would normally run for two or three days and include at least one full demonstration per day along with personal tuition tailored to your needs. Should you require any further information please call Tim on Tel 07868 71 29 71.